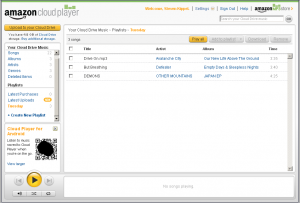 This really could be as big of a change in the music industry as iTunes, or even bigger! 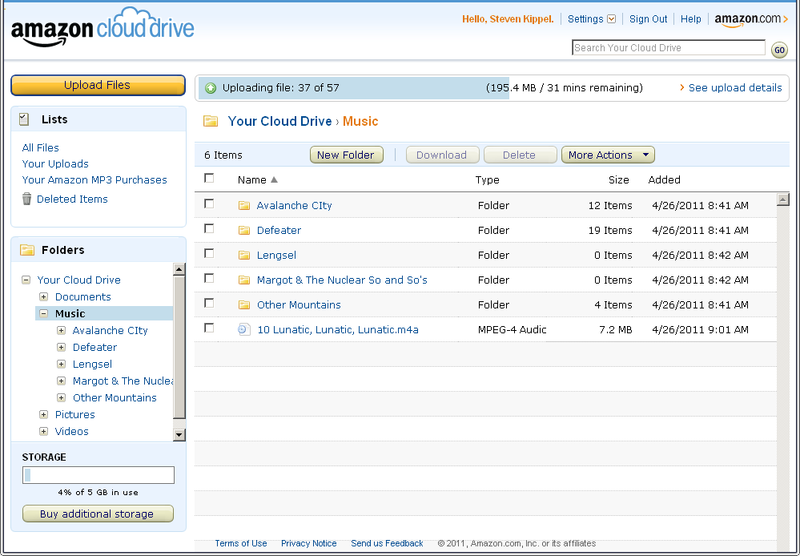 Amazon’s new Cloud Drive launched recently, beating both Apple and Google to the punch. Aside from uploading files for cloud storage, Amazon also added Cloud Player, which plays audio files from the cloud on personal computers and Android devices. 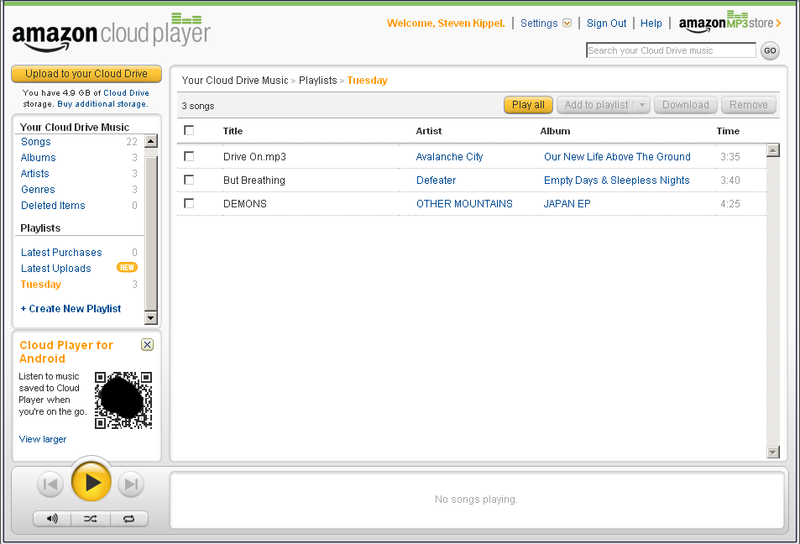 The Cloud Player is very basic, but I decided to show you what it looks like, and give my impression of how it works. 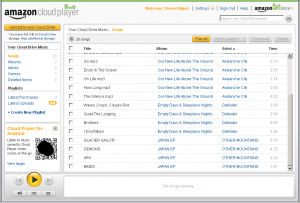 The Cloud Player automatically retrieved meta data from each MP3 file, and arranged the songs into a list view, which can be sorted by song title, artist, album, or song length. Amazon also retrieves the proper cover art for each album, and all albums can be sorted in the Album view. 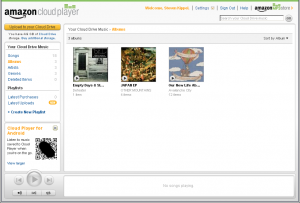 In addition to these sorting options, you can create custom playlists. Playing back the songs didn’t take long to buffer, hardly noticeable compared to Winamp, my PC based media player. The songs didn’t quite have the same punch, but this is probably due to the fact that Winamp has a built-in equalizer and Cloud Player does not. 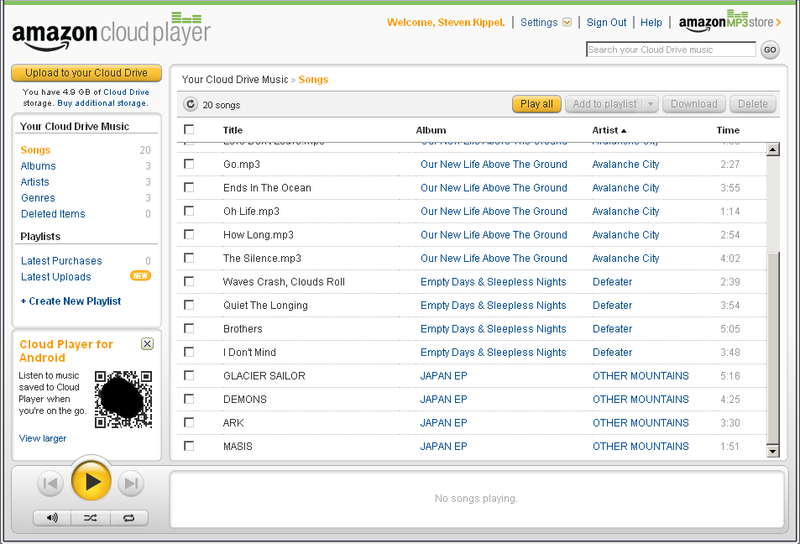 On the bottom-left of the screen is a CR code which allows you to access your Cloud Player from an Android mobile device. I don’t have an Android device, so I was unable to test this feature. Overall, I was quite satisfied with this service. I would recommend anyone with a music collection give it a try. Featured artists include Defeater, Other Mountains, Avalanche City, Margot & the Nuclear So and So’s, and Lengsel. 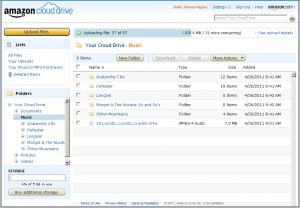 I have been using Amazon cloud player for awhile and have only had one problem: I had to call customer service to reset my player since I had been traveling and at each new IP address it registered it as though I were downloading my music to new devices.